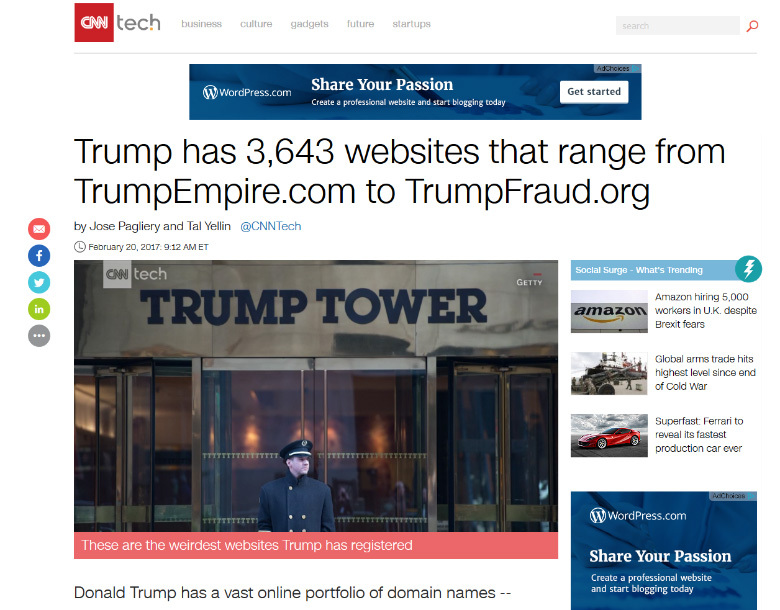 CNN apparently ordered a list of domains owned by the Donald Trump organization, via DomainTools. Ordering a “reverse WHOIS” list of domains can be rather costly, and CNN printed out a list of more than 3,600 domains, highlighting the “weirdest” that they could find. Such Donald Trump domains owned by the Donald Trump organization include 98percentApproval.com, ImBeingSuedByTheDonald.com and ChicagoTrumpLimo.com.  In the past, we covered a variety of domains owned by the Donald Trump organization, including the defensive registrations of negative terms, domains related to the Donald Trump University, and a nice selection of personal and family domains. For the CNN article about Donald Trump’s domain empire, click here. Trump family domains : Who owns Melania.com ? Can someone grab a list of the domains CNN owns and post them? Brad – CNN belongs to the Turner group, that owns more than 5,600 domains so that’s impossible to separate. I’m fine with all of the ones Turner owns as well.  I no longer have access to Domain Tools since they turned to the dark side.